One of these days, everybody’s going to discover Sam Cooke, and then maybe they’ll make a movie about him, too. Meanwhile, those who remember treasures like “You Send Me,” “Another Saturday Night” and “Cupid” will lap up this wonderful collection of previously unreleased material. 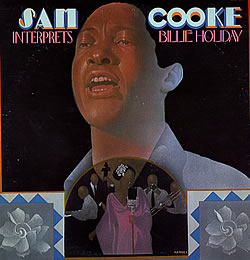 If you’re surprised to hear how well Cooke interprets “Blue Moon,” “Tain’t Nobody’s Business If I Do” and the other standards in this set, try digging further into the singer’s repertoire. You’ll find a stunning “Summertime” and a whole lot of other unexpected delights on his long-available LPs.